I read The Story of the Root-Children, by Sibylle Von Olfers, to Chick on the first day of autumn as a way to welcome the change in seasons. It is so sweet and enchanted in that elfin kind of way. 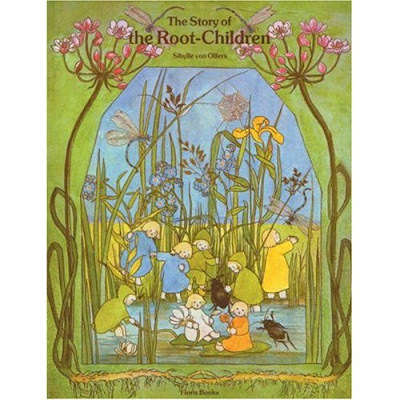 It tells a short tale of the root children who live under the earth waiting for spring to arrive so that they can decorate the earth with their colors and spirits. We both decided that these shy, spritely little children are probably more than ready for a good long rest after all of their dancing and prancing and swimming (not to mention all of those curmudgeonly beetles that hog the swimming hole). I find the pictures and earthy color pallet inspiring. It added to the sense of peace and tranquility that autumn often brings to our home.